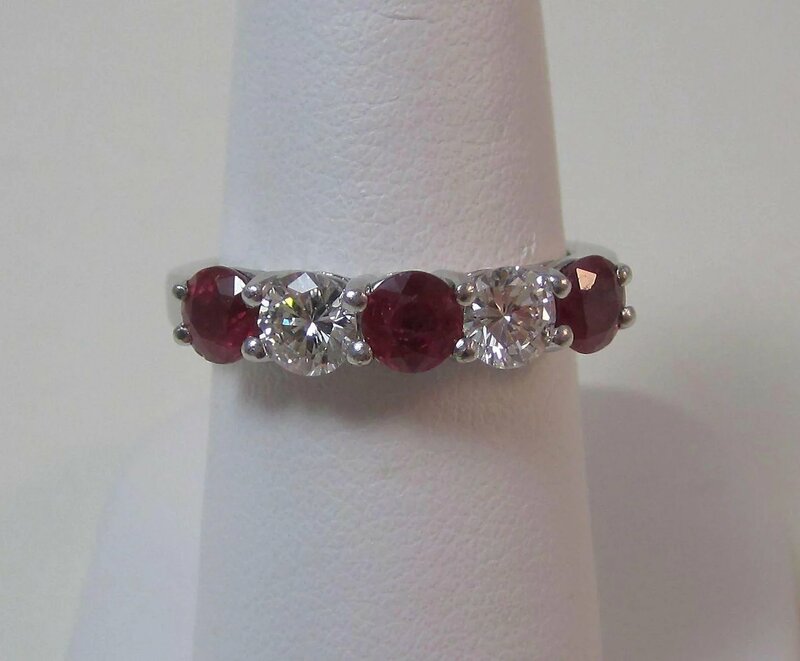 Exquisite, eye-catching, awesome......the adjectives could go on and on for this fabulous ruby & diamond guard ring, wedding band, anniversary ring. 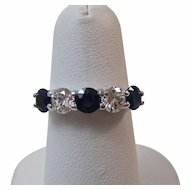 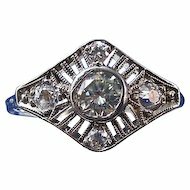 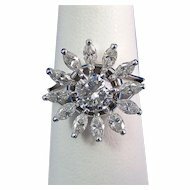 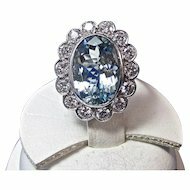 What a wonderful right hand ring for you if you are a July baby! 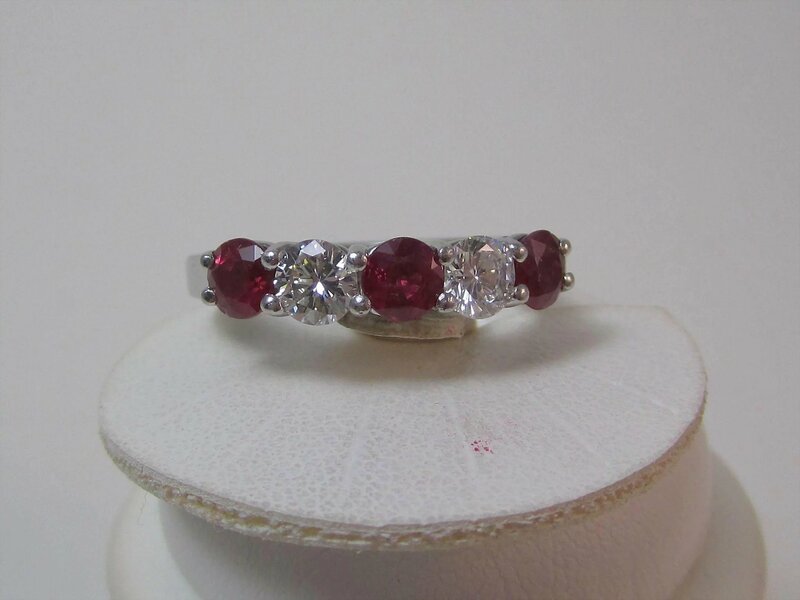 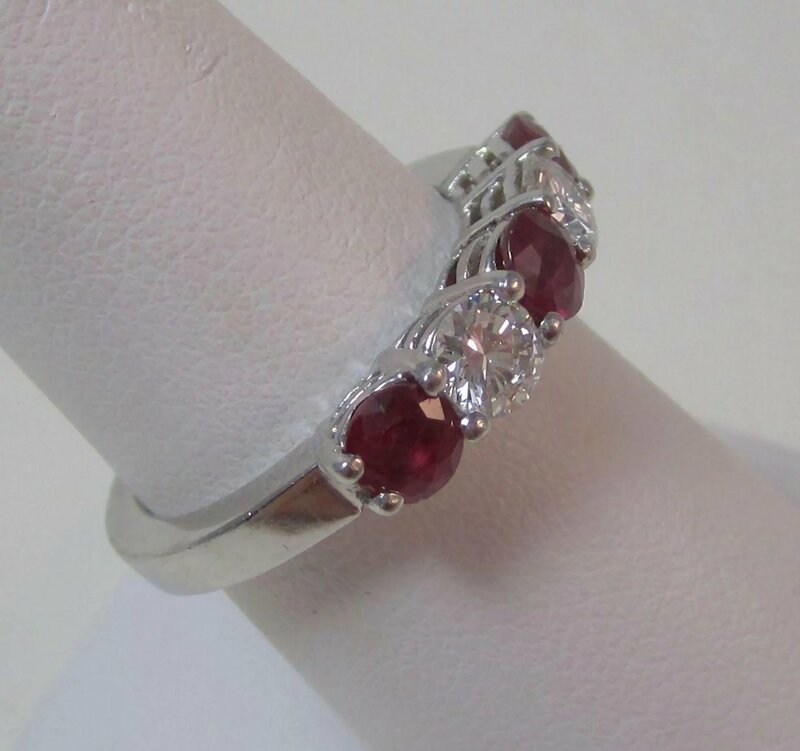 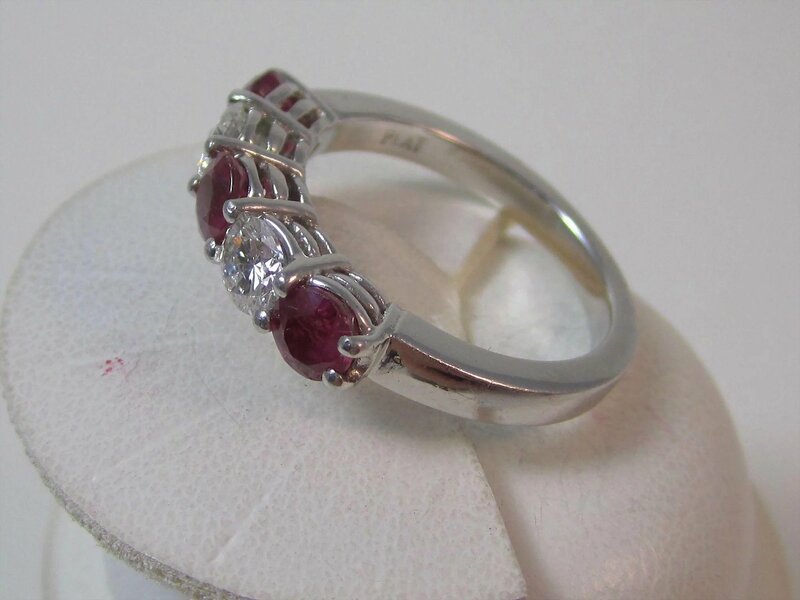 The rubies have a deep red, very strong color, and their setting with beautiful VS-SI diamonds, set in luxurious platinum make this ring so very special. 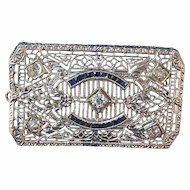 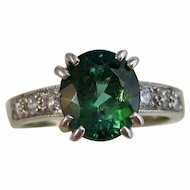 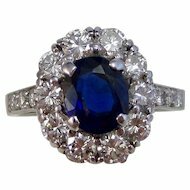 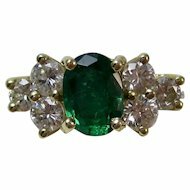 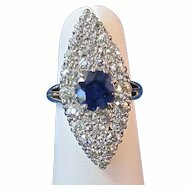 She will love you forever if you propose with this ring in your pocket, or present it to her on you wedding day or anniversary! 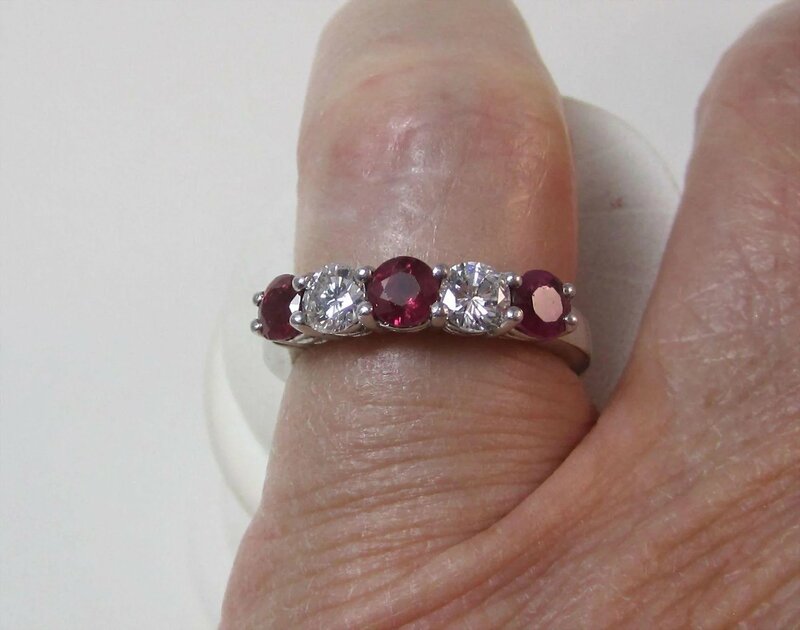 There are three shared prong round modified brilliant cut natural rubies, weighing approximately 1.35 carats, medium saturation, with a moderately strong, slightly purplish deep red color, eye clean clarity, with a good cut. 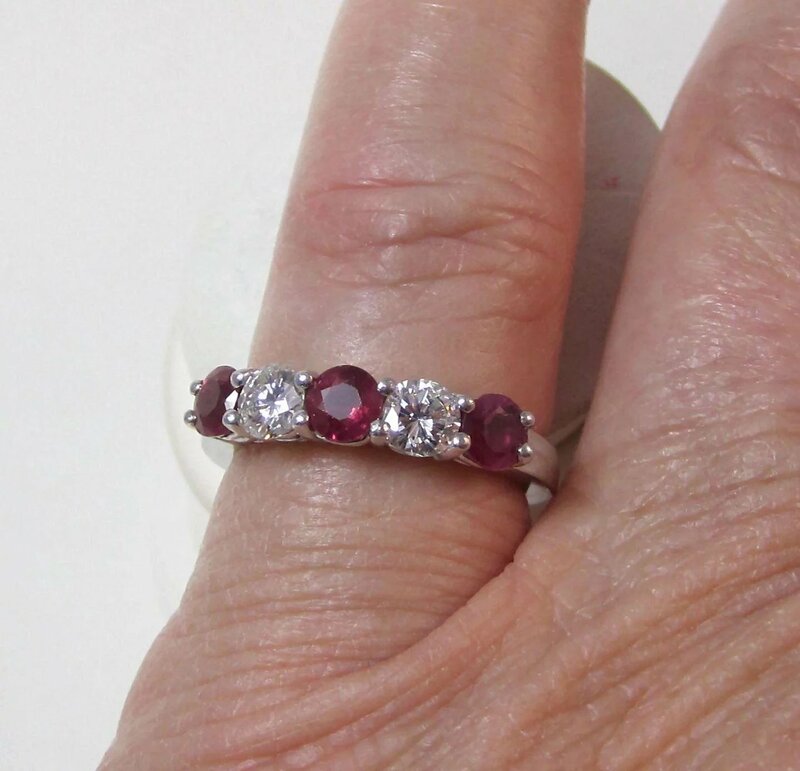 Alternating between the rubies are two shared prong set round brilliant cut diamonds, weighing approximately 65/100 of a carat, with bright sparkling VS2-SI1 clarity, beautiful crisp G/H color, with a good cut. 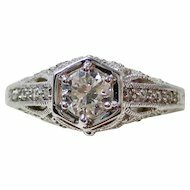 The ring is set in gorgeous stamped platinum, meaning the ring has 950/1000ths of pure platinum with a triple basket setting. 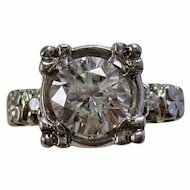 The ring measures 7/8ths of an inch from east to west, 3/16ths of an inch from top to bottom, sits up from the finger 3/16ths of an inch. 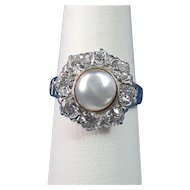 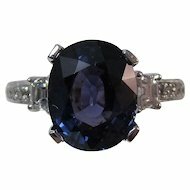 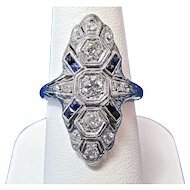 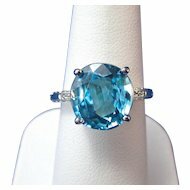 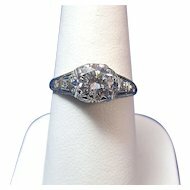 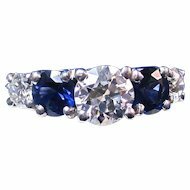 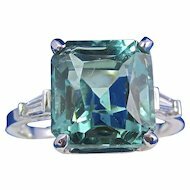 The ring size is 7 1/4, which can be easily sized up or down by a good jeweler. 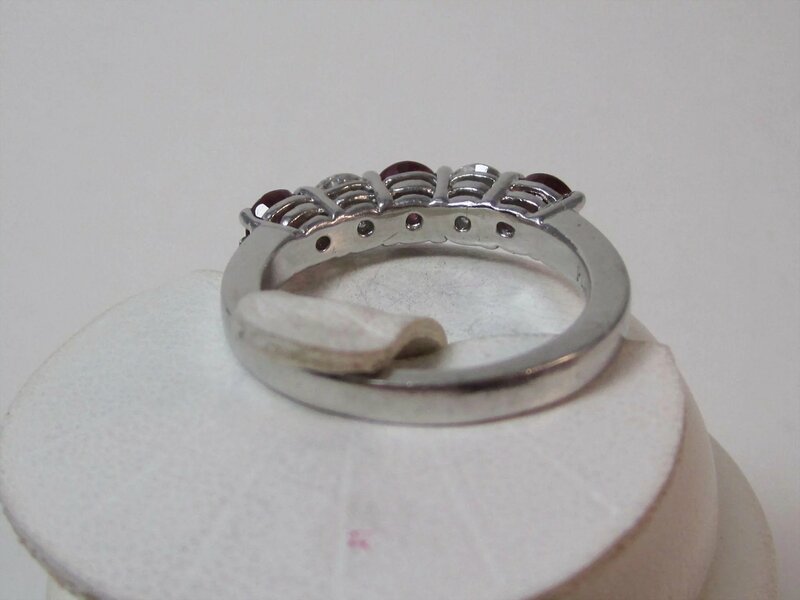 The total piece weighs 7.83 grams.